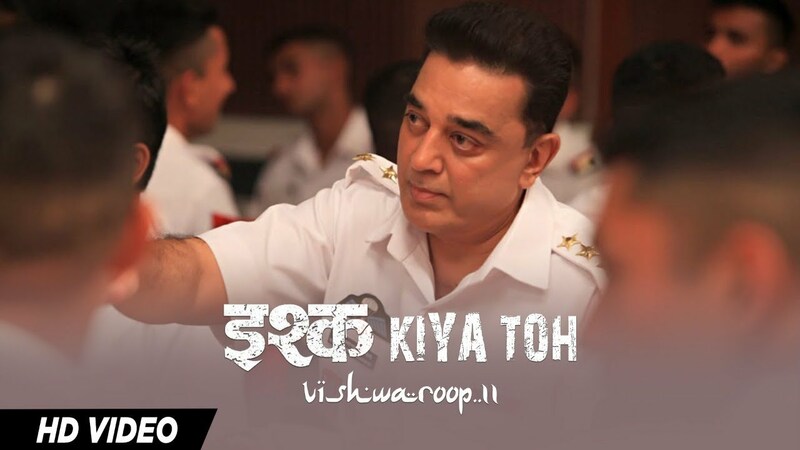 Check out Ishq Kiya Toh Song from Vishwaroop 2 ft Kamal Haasan, Andrea Jeremiah and directed by Kamal Haasan. 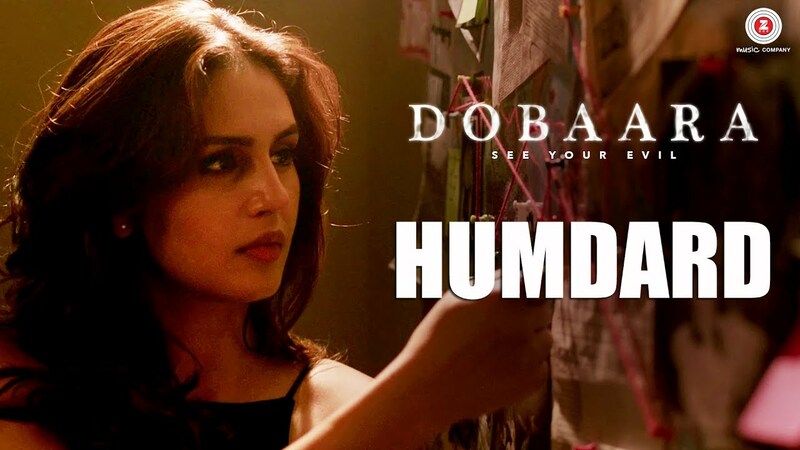 Check out Humdard Song from Dobaara ft Huma Qureshi, Saqib Saleem and directed by Prawaal Raman. Looks like typical Tamil/Telugu action masala movie. agreed. except that the hero is fit and a professional, action is done without cables and there are no item songs, rapes, comedians and cheesy one liners. Haha well I was coming to that. But now a days all south heroes are very fit even better than Bollywood heroes. And comeon, these films have cheesy one liners galore – Chinese I mean. I like Thai red curry btw. Baba- I thought you liked believable action…what is this? By the music at 0:40 is straight copy of Inception soundtrack. point out any unrealistic aspect in it and then i can speak. actually, people had quite a lot to say about it when Jackie Chan started using VFX in his films (being VFX free was never a core part of the Yen or Li image, both used VFX right from the start) and it’s not at all hard to demonstrate that his popularity began to slip around the world as he increasingly did so. It’s not purely the VFX’s fault, but the increasing use of digital tech in Chan’s films coincides directly with the decreasing quality and fan satisfaction. And there’s a very simple reason for that. Two of ’em actually. One, movie stars are – on a very significant level – a commodity. A brand. And like any brand they have a particular identity that is fostered and sold to the audience as what makes them distinct and somehow ‘better’ than all competing brands. In the case of both Chan and Jaa their brands have been built to a VERY large degree on the base of “We really do this stuff, if you see it on screen it’s because someone really did it.” That’s what adds that extra bit of thrill to their work, because their really laying their bodies on the line. So when you step away from that and start using the VFX technology that you very loudly and proudly spent years dogging as only for use by other people but not for you, then you are actively working against your own brand. You make yourself into just one of the masses, stripped of the factor that made your work unique. Two, stripping yourself of your brand uniqueness hits you on two fronts beyond simply having to backtrack from your previous identity. First, in these cases, by driving your stunt work by VFX as much as physical skill you’ve just essentially made yourself into any other actor. If there’s nothing different about the way The Myth, say, or TYG2 executes its stunt work than the way The Matrix does, or one of the Marvel films, then the martial arts guys are going to start to be judged on level ground, in all aspects, next to the actors that star in those other films. Actors who – by and large – are hired at least partially on their ability to act. Why did Jackie start getting hammered for his acting performances in this period when nobody had cared before? This is why. The same thing is about to ramp up for Tony. It’s inevitable. Also, if you are driving your stunt work with VFX then you are, inevitably, going to have that VFX work compared to the absolute high end of Hollywood VFX work. There’s no avoiding it. You’ve added the attention to the VFX yourself by publicly speaking against it for so long and so people are going to be paying special attention and there is not a single film industry anywhere in the world that can compete with Hollywood on that level. None. You’re always going to be found lacking. Does this mean that TYG2 is automatically a bad film or that there aren’t people out there that will enjoy it? No. But it does mean, inevitably, that it will alienate a certain percentage of core fanbase by the simple fact that it has gone off the established Jaa ‘Real Fight’ brand, and it will – also inevitably – face tighter scrutiny and criticism on both the acting and the technical side of the film than Jaa has ever faced before. It’s already happening in a lot of places if you go out and look at the comment threads and its only going to get worse as some of the more overt CG sequences are seen. a very interesting final trailer. what makes it more interesting is to see glimpses of tony jaa vs fire-armed men. this is one aspect often not seen in even the best martial arts films around the world.mostly what we see is probably sticks, tubelights, iron rods etc type weapons used. it is scientifically proved that a martial artist has faster reflexes than a serpent. hence in a showdown with even a fire armed guy, the chances of armed guy getting hit by his own arm are more.there should be more scenes involving this aspect in fight choreography. it will add more realism to action scenes. Because of Tony Jaa’s spat with Sahamongkol Film International — the studio behind his comeback film “Tom Yum Goong 2” (aka “The Protector 2”) — over his contract, Jaa has decided to give the company an elbow to face by not doing any kind of promotion for the expensive sequel. Many were wondering how the film would perform without Jaa’s participation in their marketing efforts. Well, the studio can breathe a sigh of relief now. The martial arts actioner opened last Wednesday, October 23rd, at the Thai box office and took in a solid $0.44M. By the end of the week, it should finish in the neighborhood of $2M. As you can see, if the opening day box office isn’t front-loaded, “Tom Yum Goong 2” could finish in the neighborhood of $3M at end of its run and become Jaa’s second best performer in Thailand. Reviews have been mixed so far. The plot is overly complicated for an action film, and although the action sequences are plentiful and competently handled, they lack the uniqueness of Jaa’s previous efforts. Budgeted at $10M, a huge sum in the Thai film industry, “Tom Yum Goong 2” is Jaa’s most expensive solo effort to date. It reteams the action star with the first film’s director and fight choreographer, Prachya Pinkaew and Panna Rittikrai, respectively. The studio ups the film’s ante by pairing Jaa up with the country’s leading female action star Jeeja Yanin. For international appeal, RZA of the Wu-Tang Clan and American martial artist Marrese Crump are cast as their adversaries. “Tom Yum Goong 2” will need a decent showing from the U.S. to recoup its cost. 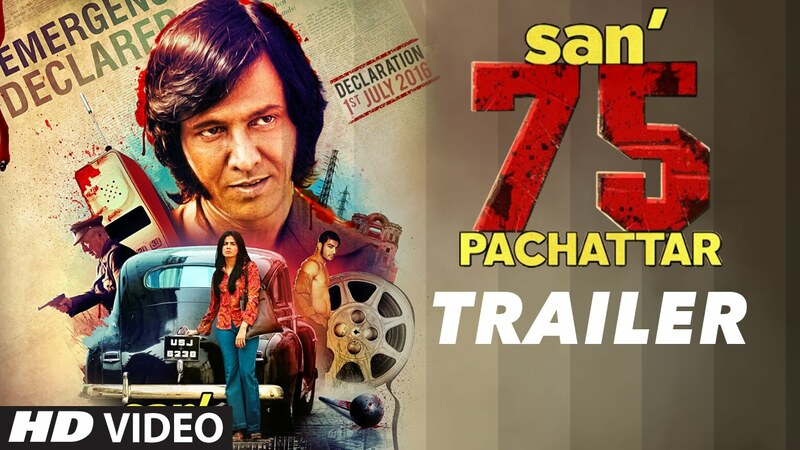 No release date has been set for the States yet, but if the distributor is smart, it would release the film after Jaa’s Hollywood debut in “Fast & Furious 7” next summer. I have seen Tom Yum Goong” 3 times on TV – with my kid. (after my above comments – they play it most of the times on TV these days). The elephant angle is very touching and has emotional angle to the fights (fights are exceptional no doubt). Btw, I have a general anger against this “chhoti aankhon wale” log from thailand to china to tibet to nepal to japan etc etc. These ppl eat anything (no probs with that , but ..) and make many species extinct from the face of the earth – in the name of their stupid medicines/rituals/blind faiths and what not…. Illish is a fish which lives in sea and travels to River base only for laying eggs. (for the very same reason it cant be cultivated like other fishes) . Its hunted when it travels in rivers – so female fishes carrying eggs in their stomach are caught or fresh babies returning to sea – causing an extinction threat to the species in near future. I dont care if something has medical benefit or not. Man/Human beings are most nasty and dangerous animals on earth. There are hell lot of medicines in Ayurveda – its just fantasy of ppl that eating something animal based will gain them power…or cure them. And these “chhoti aankhon waale log” have done most destruction in this than any country/ any part of world. agree. there is no need to eat endangered species when you can get the nutrients from other foods available. however vegetarian food or ayurveda doesnt have every nutrient in the proportion that is required for specific things. when a person gets TB or is very sick and weak , he is asked to eat paya (bone marrow of goat) by doctors. no veg food provides the kind of nutrients that it does. egg is the best protein and calcium diet and is recommended by govt too. The only animal product which is absorbed faster than any veg food by our body is Milk. Even Eggs are good – but egg yolk is a strict no no – only albumin – egg white is too good though. Rest all brouhaha about non-veg is humbug. (especially with today’s lifestyle for most ppl) . One gets with Walnuts (omega3)+Avocado what they get from Fish. ONly thing about Veg is one has to eat is proper quantity and variety – and it may not be available in all seasons everywhere. ALso veggie guys (most families in India) refuse to experiment and are slaves of their regular taste..
And yeah, Paya is good – but in general showing disrespect to nature gets on my nerves. (the only thing which I dont like in Man vs Wild) I mean I dont have objection to what he is eating – I may also do it. But rather than turning to flora and fauna – he turns to animals first. Here is conversationalist Anthony Marr (a Chinese) – telling how embarrassed he is to see Chinese ppl killing these mother nature’s beautiful creatures and not caring about them for their stupid beliefs.. In my visits to Ranthambore, Kanha, Jim Corbett, Tadoba, Bandipur – I wish I do get killed by a Tiger. A heavenly death !! I really wish that – no kidding !! I dont have any words to describe the cruelty shown to these beautiful animals. Western world on youtube mentions them casually as “most dangerous animals” instead of “most beautiful” . But cant blame them ..[Westerners love disasters huh ..cant appreciate a beauty ] and Chinese poach them, while Indian Govt offers very less as compensation to the villagers. (Though I think Ranthambore is the best place – people in villages know the issues and dont have probs with Tiger there). I would like to request to you to start one thread / feature etc – on Nature. Especially on Tiger. I dont know if you are aware of the gravity of issues for preserving the beautiful animal / our natinal pride …but it does make sense to dedicate some of the resources on your site for the purpose. I would be happy to see other’s experiences !! If you want a post on nature/animals may be you can create one and I can approve. May be you can use some movie on tigers as a starting point for the post as this is basically a movie site. Finally saw tyg2. I have to say this is the worst tony jaa film so far.not one bit because of jaa but entirely due to its director prachya pinkaew. Cant believe he blew such a great opportunity after giving us Ong bak and tom yum goong.The basic plot is more or less the same as tyg 1 so no point in wasting time in talking about it.Lets get straight to the action.I dont understand this need to go on broad canvas and ruin the kind of films that you stood for. (Raid 2 looks to be going the same route from the last 2 promos). There are several scenes were there was such a huge opportunity to choreograph a great fight scene but the director simply ruined it by his sudden obsession with wirework and poor CGI. Saale, yahi film mili thi experiment karne ke liye? The biggest irritation for me was to see the director desperately trying to pass off Mareese Crump as this newest greatest martial artist on the block. Watch him just for 2 mins and you realise its all a farce. Crump is not 1/10th as good as prachya thinks he is.All his fight scenes with Jaa are poorly choreographed in an attempt to make crump look good. You can clearly see jaa has been asked to go half -speed and cut down on his moves to make it look like an even contest and it is all the more disbelieving that someone as novice in Capoeira as crump can match upto jaa when we have already seen how convincingly he took on the much superior capoeira fighter lateef crowder in tyg1.The only scenes choreographed well are the ones that do not involve crump , most defintely the one in the hotel room where an unarmed Jaa fights several armed men. Its a pretty short scene but expertly choreographed and such 1-2 scenes give glimpses of the tony jaa we know.Sadly the director had other ideas. Jeeja yanin is wasted and most of her stunts have wirework. Tony jaa has admittedly slowed down and looks a bit overweight than his usual lean self. age is catching up.I know Fast and furious is a crap series but i am hoping to b surprised by Jaa’s outing in it. Hope they utilize his potential. Don’t forget to watch the Action Blockbuster Premiere of ‘Tom Yum Goong 2’ on 23rd March at 1PM & 8PM only on Star Movies Action. Hey does anyone know the name of the song at the end?